The 2 x 3" Ultra Contrast 5 Filter from Tiffen helps to open your shadows by using the ambient light surrounding the image area as well as the light in the actual image itself. It lowers contrast uniformly throughout, with little or no loss of sharpness within the scene, even where there are varying degrees of brightness. 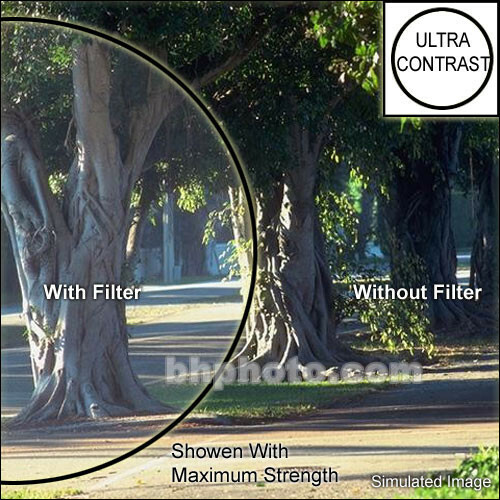 The #5 Ultra Contrast provides the maximum effect available for this filter. Shadows are now opened as far as they can go and contrast is as low as can be achieved with this filter. The image is still sharp and no flare or halation has been generated.